Southern Nevada has become a popular retirement destination for Baby Boomers and retirees due to its desirable climate, reasonable cost of living and top-notch attractions. Whether you want to experience exciting entertainment, shop at unique boutiques, enjoy mouthwatering food, or embrace nature's beauty, Southern Nevada's active adult communities have something for everyone. Many active adults and retirees from across the country have decided to move to this area for its hot summer and mild winters. There are a wide variety of 55+ active adult communities in Southern Nevada to choose from. There is sure to be a home style, price and lifestyle that fits your needs and wants from large resort-style communities to secluded, intimate communities. The pleasant weather, diverse culture, and affordable living in Southern Nevada makes it the perfect place to call home. Southern Nevada is made up of five counties that include Clark, Esmeralda, Lincoln, Mineral and Nye. 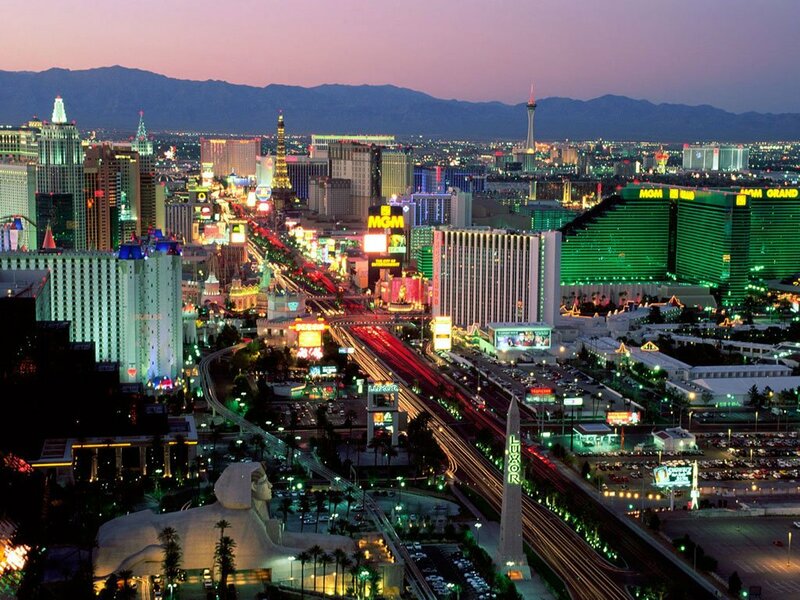 Las Vegas makes up the majority of this region and is the most populated city in Nevada. The area is mainly covered by the Great Basin Desert and Mojave Desert with the Spring Mountains to the west. Much of the backdrop is rocky and dusty with desert vegetation. Southern Nevada is classified as a subtropical, hot desert climate. There is an abundance of sun with approximately 300 days of sunshine. Summers are hot with an average temperature of around 89 degrees. However, July and August are the hottest months with an average temperature of about 107 degrees. The winters are very mild and can get chilly but snow is extremely rare. The average daily temperature during winter months is approximately 60 degrees. Southern Nevada s economy thrives mainly from tourism but gambling and conventions play a role as well. Las Vegas is the major attraction with The Strip being the primary focus. The Las Vegas Strip has several notable casinos, hotels and entertainment. Active adults and retirees love The Strip because it is home to some of the most extravagant theatres in the world and many of the largest shows on Broadway. Major stars such as Celine Dion, Elton John and David Copperfield have performed here as well as popular groups like the Blue Man Group and Cirque du Soleil. Southern Nevada might not be perceived as offering a rich and distinguished culture but it s unquestionably one of the most diverse. Las Vegas is certainly one of the world s most spectacular tourist attractions, but more and more frequently retirees and active adults are also discovering it to be the perfect place to live. Not only are there world-class attractions in the area but there is also a richness of outdoor attractions. Several parks and lakes offer breathtaking scenery where 55+ residents can enjoy hiking, golfing, boating, camping, and other outdoor recreations. If you seek a more laidback lifestyle away from The Strip there are many relaxing 55+ resort-style communities. Southern Nevada truly has something for every lifestyle and interest. Active adults and retirees love living in Southern Nevada for its sensible cost of living and affordable housing. Nevada provides competitive property and sales tax rates. Due to the overall low tax structure in Nevada many businesses relocate to this state. Nevada has no corporate income tax, corporate share tax, franchise income tax, inventory tax, unitary tax, personal income tax, estate tax, or inheritance tax. As a result, active adults from across the country have chosen 55+ retirement communities in Nevada as their home. Southern Nevada offers high-quality healthcare for its residents. There are over 30 hospitals in the area and some well-known ones include the University Medical Center, Saint Rose Dominican Hospital, Spring Valley Hospital Medical Center, Summerlin Hospital Medical Center, Mountainview Hospital, and Centennial Hills Hospital Medical Center. 55+ residents and retirees love knowing that they are close to great medical care if they are in need of it. Nevada also provides a minimal employee payroll tax rate with deductions for employer paid health insurance.